I have read they were working on pretty ground breaking technology for the cancelled T-95 and that much of what was developed for it will now be adapted to the Armata vehicles. Things like sensor fusion, so Image Intensification, Short, medium, and long band thermal Imaging systems, MMW and CM wave radar, Lidar, all used together to detect and track targets and threats. The object 195 has an enlarged hull with the crew of three seated side by side at the front under the heaviest armour on the tank. The turret is unmanned with an external gun and all the ammo stored below the turret ring separate from the crew compartment. The Black Eagle is a redesign of the T-80 and removed the under turret autoloader and moved it into the turret bustle. In many ways the turret bustle autoloader/ammo handling system was like a magazine for a rifle. You could remove the entire bustle and replace it will a bustle full of ammo. In other words, you drove into combat and fired off your 31 rounds in the rear turret bustle and then withdrew... a crane would remove the empty turret bustle and replace it with a full one and you drove straight back into battle. The objection was that the ammo in the bustle wasn't well protected from enemy fire and if it was targeted then often would burn out rendering the tank unarmed and vulnerable to the fire spreading down into the engine compartment and setting the engine compartment on fire... which is obviously a complete mobility kill. Perhaps they listened to my suggestion of an ejection system, so they could have the T-95 layout with external gun and ammo below the turret ring and therefore protected by frontal hull armour, plus an extra turret bustle autoloader in a removable configuration that can be jettisoned if necessary. The main ammo supply in the turret should allow lots of ammo to be carried as the space for two crewmen is there as well as the underfloor autoloader. This means turret armament could include a cannon like a 300 weapon with plenty of room for ammo and the ability to elevate separately from the main gun so it can hit targets the BMPT was designed for. They could also have a couple of remote 30 cal MG turrets with plenty of ammo to give the tank plenty of close in firepower against infantry. The rear turret bustle could carry even more ammo and because it is parallel to the gun the ammo can be rammed straight into the breach without being rotated. It means that long rod penetrators could be used or even long missile rounds. The original underfloor autoloader of the T-90/80/72/64 series tanks held 22 rounds, but with no crew in the turret it could have 2 layers of armoured ammo storage bins. That means 44 rounds in the turret plus31 more rounds in the rear turret autoloader all ready to fire without needing human intervention. 75 rounds ready to fire should mean they will likely run out of fuel in a battle before they run out of ammo. In the remaining space in the turret they could fit 500 rounds of 30mm ammo, 8,000 rounds of 30 cal for two turret mounted remote control positions and the coaxial weapon. Perhaps even an auto grenade launcher for indirect fire... the 40mm Balkan looks like it would be ideal... fitted to the turrets with the PKT MGs. 600 grenades with an effective range of 2.5km would be very useful. "Armata" project and its MBT incarnation accepted by russian MoD, prototype expected by 2013 and production from 2015. Russia is the first to be switching to a uniform combat platform in three major types of ground vehicles, which will presumably make them easier and cheaper to build and maintain, while their modular design will allow to develop different systems, depending on their purpose. The first platforms of this kind of modular design will be produced in two to three years. Russia’s Defense Ministry has approved the design of a new heavy crawler platform for the Russian armed forces, says Major General Alexander Shevchenko, Chief of General Tank Automotive Directorate. The development of “perspective technologies” for the Russian military is now going through a major transformation. And what comes out of this can forever change the country’s army. A new versatile armoured platform, “Armata,” is expected to “set to rights” the Russian armoured forces, plagued by chassis and components of every stripe. The most popular tank, the T-72, and its upgrade, the T-90, will be revamped to stay in the Russian army, except for its first-line units , which are to be equipped with the cutting-edge “Armata” by 2015 to 2025. But the T-90 won’t disappear for good as its recent modification, known as the T-90S, is in fact set to keep its export market. It was announced that the T-90S will make its reappearance at the upcoming Defexpo-2012 show in India. The Russian armed forces will have as many as four versatile base platforms: the “Armata” crawler platform for heavy tanks, infantry fighting vehicles and other types of motorized infantry brigades weighing up to 65 tons. Among other projects are the “Kurganets-25” medium crawler platform in the 25-ton range and two wheeled platforms – a medium 25-ton and a light 10-ton platform of the “Bumerang” family. The idea to build modular-design platforms was up in the air for quite a while. The collapse of the Soviet Union crippled the production of already existing hardware and stalled its further development. The West was the next in line to dip its toes in this water, with the American line of the “Stryker” wheeled combat vehicles and a whole family of Medium Tactical Vehicles (FMTV) clearly coming off the charts. Still, no Western army ever considered bringing all vehicles of all weight classes onto a single, unified platform. The US tried to grapple with this task in its modernization program called Future Combat Systems (FCS), which was cancelled after over-ambitious plans of the US military command to outfit its vesicles with cutting-edge equipment threatened to drain its funds. Russia had it easier, having had to learn from the FCS example, which proved that any sweeping modernization can only bust the budget. In this sense, Russian armoured vehicles, which are capable of employing both the existing equipment and systems that are still under development, have much more chances to come off the blueprints and into reality. Well 65tons Armata. Thats a monster in making. It is interesting that with the talk about Armata program they have mentioned the new families of vehicles for the different brigade types and they seem to have changed what was said before. Previously there was Armata in the heavy brigades, Kurganets-25 as the tracked vehicle in the medium brigades and Boomerang as the wheeled vehicle in the medium brigade (rear ramp door, 25 ton weight and amphibious), and the wheeled Typhoon in the light brigades. The Armata came in two different models, one with the engine at the rear for use as a tank or artillery (is MSTA/coalition type vehicle) and one with the engine at the front with a ramp rear door for IFV use. The Kurganets-25 was to have a special Navy version designed and made that could handle rough sea operation and beach landing (as opposed to the standard level of amphibious capability which allowed operation in rivers and lakes only). The Boomerang AFAIK was going to come in one model. The Typhoon was going to come in a few versions with 4 and 6 wheel configurations. The weight restrictions means that they were going to use more exotic and expensive materials to make the armour of the Boomerang and Typhoon and Kurganets-25 to give them very good performance against anti armour weapons. I rather suspect that the idea of separating the Typhoon and Boomerang designs was that the focus of Typhoon was on speed and firepower, while the Boomerang will have speed and mobility on roads it will also be much heavier and better protected. The recent reports I have read suggest that Typhoon is now a modified (lighter, smaller) Boomerang, so the families are Tracked: Armata for heavy, Kurganets-25 for medium, Wheeled: Boomerang for medium and Boomerang light for light. It suggests to me that perhaps Boomerang might have a modular armour package and in the light brigades a lighter armour suite could be fitted. In terms of logistics that would be a very good thing because the whole idea behind these vehicle families is to shorten the logistics and support tail of a brigade. With every vehicle in a brigade based on the same vehicle type using the same engines and standard weapons it becomes easier. I rather suspect they will capitalise on this by making a medium brigade either wheeled or tracked but not both. That means that all the vehicles in a wheeled brigade... whether it s a light wheeled brigade (which all light brigades will be) or a medium wheeled brigade (as opposed to medium brigades with Kurganets-25s which would be tracked) will be Boomerang based vehicles. It is important to keep in mind that despite their descriptions the Armata is not a Tank, Kurganets-25 is not a BMP and Boomerang is not a BTR. They are all everything. The electronics and sensors and weapons will be unified, so the air defence vehicle in a heavy brigade will be based on the Armata chassis, but the systems and sensors will be the same as the air defence vehicle in the Light Brigade. It is all together possible that the weapons might be different. Eventually the Armata will be fitted with a 152mm calibre smoothbore main gun and there is very little chance that it might be fitted to a Boomerang in a light brigade, but the 18 ton Sprut on a BMD-3 chassis can use a 125mm gun so the light brigade Boomerang might get that weapon on an 18 ton chassis... its electronics and sights and sensors will be the same as the equipment in the Armata. With artillery in the Armata heavy brigades the main artillery vehicle will be coalition with a huge 152mm gun (though it might only have one gun to reduce the turret size to make it more air mobile), but the Light Brigades will likely not need nor want such a giant so they might have a 120mm mortar vehicle instead but based on the Boomerang chassis. For Air Defence the Heavy Brigades will have Pantsir-S1 on an Armata chassis, the light brigade Boomerang might have a smaller and cheaper system like SOSNA-R laser beam riding missiles. The electronic suites have been developed independently of the vehicles and are fully standardised, which means they can probably be included as upgrades for previous generation vehicles to improve their performance and unify a range of different vehicles to allow practise and preparation for tactics that will be possible with the new vehicles. I think it is very exciting. They seem to be calling the Boomerangs Boomerang-25 and Boomerang-10 which is likely their operational weights. I would expect the Boomerang 10 to be split into maybe 6 and 4 wheeled versions like the Typhoon did, though perhaps the Boomerang 10 and the Boomerang 25 will be in many ways BRDM-2 and BTR-80, except of course the BTR-80 was about 14 tons and the Boomerang in the medium brigades will be 25 ton. Equally although the Boomerang 10 will be a 10 ton vehicle I suspect it will use advanced modular armour and likely NERA type armour and possibly active protection systems as standard and will be rather better protected than a BRDM-2 with better access, and of course the BRDM-2 was a scout car and the BTR-80 was an APC, while these Boomerangs will be entire families of vehicles from artillery, tank, IFV, air defence, engineering, recon, etc etc. The 65 ton Armata will likely be the Coalition artillery vehicle rather than the tank, which will likely be in the 55 ton range. With a remote turret (note both the coalition and the tank will have unmanned turrets) the need for frontal armour on the turret of the tank is gone so most of the armour on the Armata will be around the front hull area where the crew sit. I think a better idea is to keep the engine in front of the tank, it will give extra protacion for the tank's crew. Keep a small door at the back of it to leave the tank. it will be helpful if the tank get hit. The artillery and infantry must have a rear door. Thanks for the pics AJ-47, man, that sure is one nice looking vehicle. Edit: Although like Garry said, it is not Armata. The idea of putting an engine in front of them sounds like a good idea on paper but in practise it is a very stupid idea. Engines are not made of high strength hard armour metals and offer very little protection from anything more than small arms fire. A 50 cal rifle round will punch straight through an engine block and still do a lot of damage... for a 120mm APFSDS round it will have even less effect. Worse a penetration of the engine could immobilise the vehicle and with all the fuel lines and oil could start a fire, while offering no protection at all for the vehicle or crew. The other issue of course is IR signature... a big 1,400+ hp engine generates a lot of heat and sticking it in the front of your vehicle makes you an easy to spot target on the battlefield and interferes with your thermal sights as well. The Russians are not new to front mounted engines in vehicles... the BMP-1 and BMP-2 both have front mounted engines... they know what ineffective armour they provide. Mr.Kalishnikov47 wrote: Thanks for the pics AJ-47, man, that sure is one nice looking vehicle. Will the armata have a new main gun? It is certainly likely that the Armata will have a further developed 125mm main gun to suit its external mounting and perhaps allow better angles of elevation and depression. It will likely be compatible with the 15Xmm calibre gun developed for the T-95 as well so that might require further adaptations to the design. I doubt they will increase the pressure too much as the advantage of having a 125mm gun is ammo standardisation... if most of your tanks require special ammo and the new ones can use that ammo and more powerful ammo there could be an issue of supply where the wrong rounds go to the wrong tank units and you end up with a lot of burst barrels and injured crews. Ironically the separation of the crew in the Armata means that it could get away with a gun chamber breach due to high pressure ammo because there are no people in the turret, whereas a high pressure round intended for the stronger gun in the Armata in a T-90 or T-72 could do some serious damage. The obvious solution would be to impliment a complete replacement of old guns with new guns able to handle the higher pressure and once that is completed then introduce the new higher pressure ammo. Dmitry Rogozin is going to visit Uralvagonzavod on the 21st, info via his facebook. Along with a new article about Armata. Hopefully, we get some new info about the project during his trip. Gentlemen, keep those fingers crossed. Zivo wrote: Dmitry Rogozin is going to visit Uralvagonzavod on the 21st, info via his facebook. Along with a new article about Armata. Serial deliveries to the troops of new main battle tank based on the universal platform of heavy armored vehicles, "Armata" will begin in 2017. This is in my Twitter wrote Vice-Premier of Russia , Dmitry Rogozin . Earlier guidance "Uralvagonzavod", which is developing a new tank, stated that the new car will be produced commercially, and delivered to the troops in 2015. "The Army of the Russian Federation in 2017 will receive a tank with stealth technology. April 21 visit Uralvagonzavod and tank range. Beware! )," - Wrote Rogozin, giving a tweet a link to his interview to Life News. 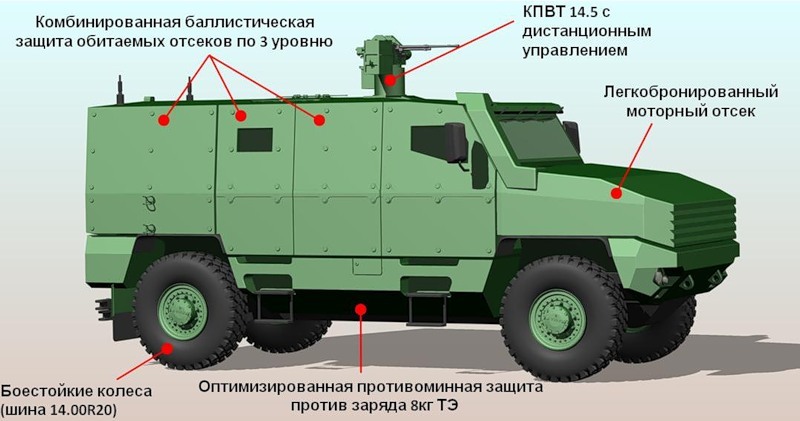 According to Deputy Prime Minister, the new combat vehicle will be created with the use of stealth technology in radar, infrared and optical spectrum. In particular, it will use specially designed geometries and coatings. Russian Ministry of Defense has approved the draft platform of heavy armored vehicles, "Armata" at the end of March 2012. According to the Chief of the Tank-Automotive Directorate of the Ministry of Defence of Russia, Major-General Alexander Shevchenko, the new machine meets all the requirements of the military department at the level of technical design. "Three years later, look at this product in the metal", - added Shevchenko. Earlier, sources in the "Uralvagonzavod" stated that the company intends to build the first prototype of the tank on a platform of "Armata" in 2013, and production machines and supplies to the troops to begin in 2015. It clarifies the RIA Novosti , 2020 Russia's armed forces should receive 2.3 thousand new tanks. Details of the project are still unknown. Presumably, in the autoloader tank created by the project "Armata", will be 32 rounds for various purposes. In the development of the tank will be used achievements obtained during the implementation of other projects, including "Object 195" and "Black Eagle". At the end of March this year the newspaper "Izvestia" wrote that the tank will get a gun with a digital remote control communication channels that will be protected from interception and suppression. Rogozin denied the delay. 2015 still planned. I rather suspect that they might go into production in 2015 but they might not reach operational service till 2017. These are largely untested vehicles and they are an entire family of vehicles too, so they are going from now with no actual prototypes to 3 years away... 2015 vehicles in production... I would expect they will have to produce and correct the designs of half a dozen different types of new vehicles on the Armata platform to put into operational service... that is not going to be easy or quick or cheap. Each heavy brigade will be all Armata, or all T-90 or all T-72 upgraded so they are going to need a lot of vechiles for each brigade. Remember even in a tank brigade there were about three regiments of tanks so we are talking a total of about 48 tanks per tank brigade, plus a regiment or two of BMPs or BTRs or both and then artillery (tube and rocket) and air defence units (missile and gun/missile) etc etc. This means instead of just making 48 tanks per brigade they will need 48 tanks plus perhaps 100 more chassis for the other vehicles... BMP, BTR, TOR, Pantsir-S1, Tornado, Coalition, etc etc.